It’s hard to say why this recording culled from shows taped in 2005 and 2006 (both at Asheville’s Grey Eagle) are finally seeing the light of day in 2012, but this is the kind of music that never gets stale. O’Brien and Scott recorded an acoustic folk/bluegrass album in 2000, and the material from that provides the bulk of the selections here. Unplugged mandolin and guitar provide all the firepower these two need as they extend and charge through these songs with the energy and intensity of a full band. Traditionals such as “Keep Your Lamp Trimmed and Burning” share time with Lefty Frizzell and Gordon Lightfoot covers along with a few originals for an hour of electrifying yet unplugged picking and soulful singing. The synergy between the two musicians is contagious, as exemplified by an enthralled and very vocal audience. 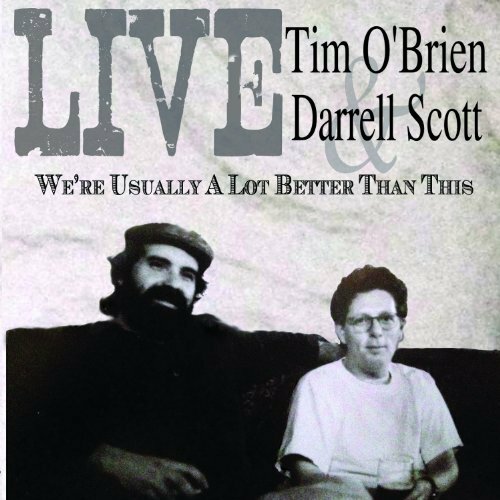 This beautifully recorded performance perfectly captures the congenial, live ambience and, since Scott and O’Brien don’t do many of these duo gigs, may be the closest you’ll get to hearing them perform together.